This course introduces you to the fundamentals of SQL using Oracle Database. Learn the concepts of relational databases and masters in SQL programming language. Get the essential SQL skills that allow you to write queries against single and multiple tables, manipulate data in tables, and create database objects on your own. Learn and Prepare for the SQL Expert Certification Exam in this Training. Be a Oracle Certified SQL Expert! You will also learn to use single row functions to customize output, use conversion functions and conditional expressions. Usage of group functions to report aggregated data is also covered in detail. Practical, hands-on exercises reinforce the fundamental concepts. Display data from multiple tables using JOIN syntax. Use SQL functions to generate customized data. Use the SET operators to create subsets of data. Run data manipulation statements (DML) in Oracle Database 11g. Run data definition language (DDL) statements to create schema objects. Identify the major structural components of Oracle Database 11g. Create reports of sorted and restricted data using specific SQL Syntax. This course is appropriate if you are using Oracle 10g or Oracle 11g database. Retrieve Data using the SELECT statement, from a single table. Display Data from Multiple Tables Using Join Statement. Certification: Oracle Database SQL Certified Expert upon passing Exam 1Z0-047 Oracle Database SQL Expert. After attending this training, you will have the required skills and ability to take the Oracle Certification Exam 1Z0-047 Oracle Database SQL Expert. General knowledge of Database concepts will help, Though not essential. We will teach the basics from the beginning, and make sure that the foundation is strong. Familiarity with data processing concepts and techniques will be good also. This course is well suited for beginners and advanced users of Oracle, Who are looking for Formal Oracle Certification in the use of SQL – with passing the Oracle SQL Expert certification exam. To Register for Oracle SQL Expert Training, Simply Register Online, and book your seat today by sending an online enquiry today. You can call us at +65 6296-2995 or email to training@intellisoft.com.sg for any questions, or to register for the upcoming class of Oracle SQL Expert Certification Training. We also offer Corporate Trainings for Oracle Database SQL Expert Certification. 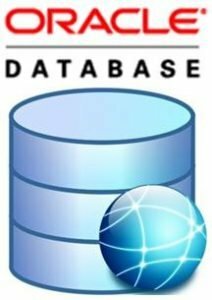 If you have a group of people, we can arrange to conduct the Oracle 10g or 11g database training at your office location too. Just contact us for details. Call us at +65 6296-2995 or email to training@intellisoft.com.sg for any questions, or to register for the upcoming class of Oracle Database SQL Expert Training. The greatest strength of this workshop is the content and exercises. The instructor was knowledgeable and did a great job of preparing us for SQL expert certification. The pace is suitable and I learned a lot. – HP. I liked the useful examples and exercises of Oracle SQL. I learnt how to select data from multiple tables and create complex queries. – Ivy Lim.